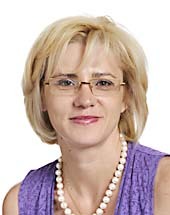 The European Commissioner and candidate for the European Parliament on behalf of the Pro Romania Party Corina Cretu asserted that currently Romania's development is blocked or pulled back by lack of capacity in the public administration, our country having no projects to draw European funds. Source: European Commission. Ahead of International Roma Day on 8 April, First Vice-President Frans Timmermans and Commissioners Johannes Hahn, Marianne Thyssen , Vĕra Jourová , Corina Creţu stated: Today, we celebrate Roma culture and remember their history, which has been an intricate part of Europe for centuries.